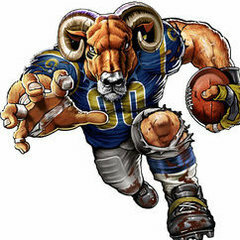 I have received the honor of GMing our beloved Rams this year in our forums. As a rookie GM I would love to get your input on what moves to make. If anyone is interested in scouting for the draft with me I would greatly appreciate that as well. Look forward to being judged and ridiculed for all of my crazy decisions. Input is great, but from my own experience, I recommend making the moves you think are right. You're the GM. I'll help when I can, but waiting for input often puts you behind the eight-ball. Just keep us updated on what you're doing and what's about to happen imo. We can offer advice as needed. Thanks guys. It'll be fun seeing what everyone thinks about draft prospects. Especially for those late Round picks. We could pool some draft scouting. I would say try to resign as many of our own as possible and getting rid of Tavon should be priorities. Not sure how these things work though. In the draft/FA I would focus on getting a NT and edge rusher. Lions GM here, let me know if you guys want to talk trade. Might have some players that interest you. Ya, you got a couple defensive players I am interested in. Definitely gonna look to move Austin and Baron. I think I'm only resigning Joyner from the big name free agents. Gonna see how much Trumaine and Watkins will cost me. But I don't feel like we should bring them back. It looks like I'd save about 12 million trading Quinn. I'm confident we could develop Longacre into a blue chip OLB. I could reinvest that into a solid DL in FA, and maybe even add the rest of it into Aaron Donald's extension. I think our Line is pretty interchangeable. AD could play anywhere and Brockers works at LE and NT só one more strong linemen gives us a pretty strong front 7. Looking into some LBs who worked well in Phillips system, feeling optimistic I could build upon the young talented players we already have with some physically more imposing veterans. This year it would save $11.4 million and next year $12.9. The big problem is who do you replace him with and what does that person cost? 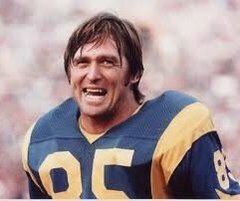 I like a couple of edge rushers in this years draft, but if all goes wrong I'm comfortable starting Longacre for Quinn. Itll be cheaper to resign Barwin for another year. Worst case scenario we go with Longacre, a new strong ILB, Ogletree and Barwin. I have some trade offers on the table and I wanted to get some insight from you guys before making these decisions. How do you guys rank Brown? He doesn't cost me anything in cap space and he is pretty young, so I really don't want to let him go. But I feel like we need some Guard upgrades, and I'm confident I can get someone in the draft. I would preferably move Saffold, but he's not generating much interest. So the question is, do you guys see Brown as a true starter at RG? I also wanted to know what you guys think of our TEs. Who do you rank higher Higbee or Everett? How do you guys see both those guys fitting into our scheme in 2018? There are a couple good receiving tight ends in FA I could target. Which one would you guys be more inclined to trade? Yeah, hold onto Brown. He's young and improving. Keep Saffold for sure, he was a huge part of our offense playing the way it did. I would hold onto the TE, but definitely favor keeping Everett. 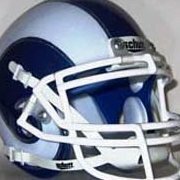 Mcvay's first draft pick and he will know how to use him.